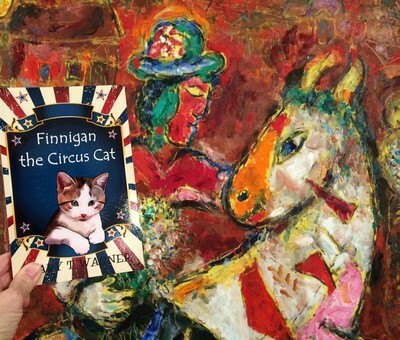 FINNIGAN, his best “circus mice” pals Maximillian and Leroy, and Boomer—the strangely silent family dog--return in this sequel to the award-winning FINNIGAN THE CIRCUS CAT. 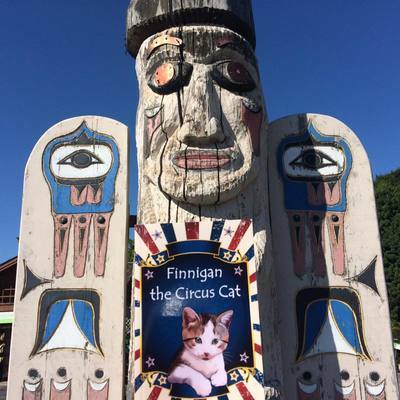 Rescued as a tiny kitten by eight-year-old Lucy Farnsworth and smuggled in secret to the family circus museum, Finnigan is now all grown up with a natural flair for the flying trapeze. However he’s still flying “under the radar” in the barn which doubles as the museum because Lucy’s father is deathly allergic to cats. 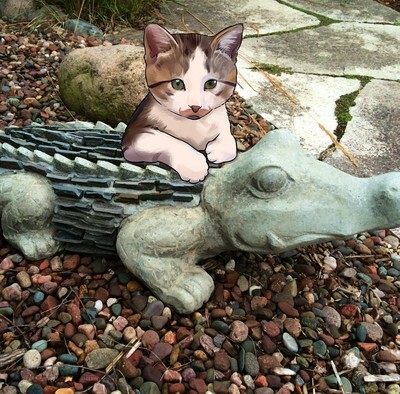 The arrangement works just fine for everyone…until two shady characters show up with plans to find and steal a treasure that’s hidden in a broken down old wagon recently dropped off at the museum. While Finnigan and his friends set themselves to the task of finding the treasure first and scaring off the crooks, they find it’s becoming harder and harder to keep Finnigan’s presence a secret, particularly where Lucy’s sharp-eyed little brother is concerned. 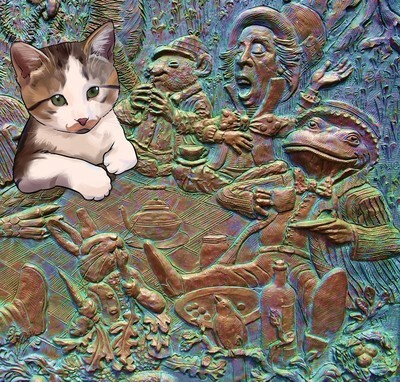 And to top things off, Leroy must swallow his pride and misgivings to go undercover as A RAT to discover more about the unsavory strangers. 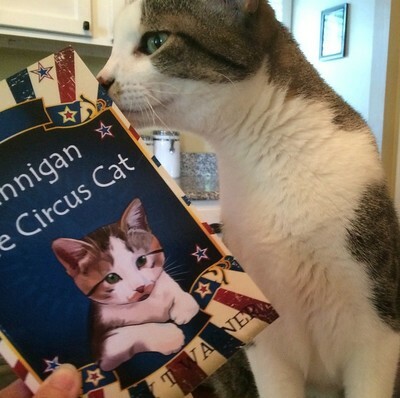 Inspired by a real life “rescue kitten” and filled with narrow escapes, sleight of hand (or tails, as the case may be), charming illustrations by the author (several drawn from vintage circus wagons), and circus history from the Golden Age of circus parades, FINNIGAN AND THE LOST CIRCUS WAGON will charm young readers and the grownups who love to read with them. 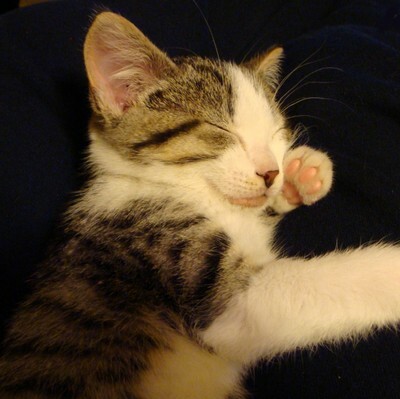 THE CAT'S OUT OF THE BAG!!! 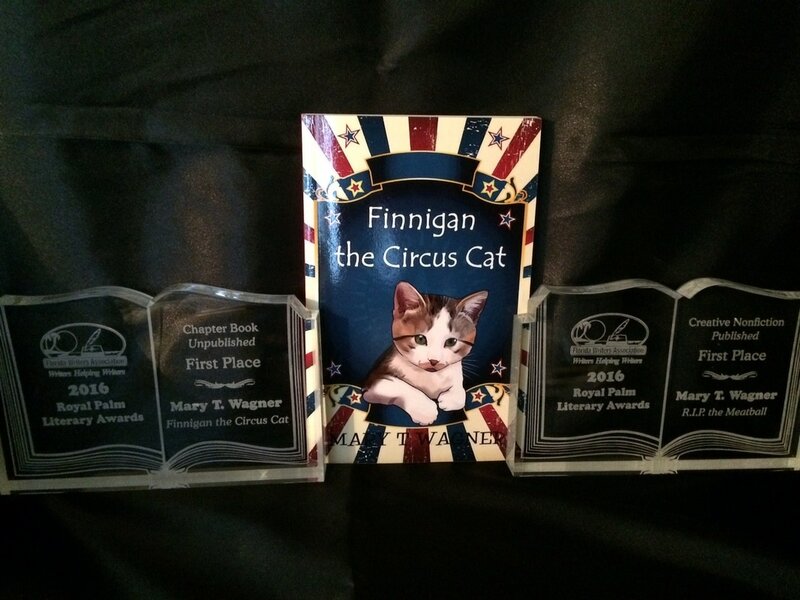 ​Introducing FINNIGAN THE CIRCUS CAT! 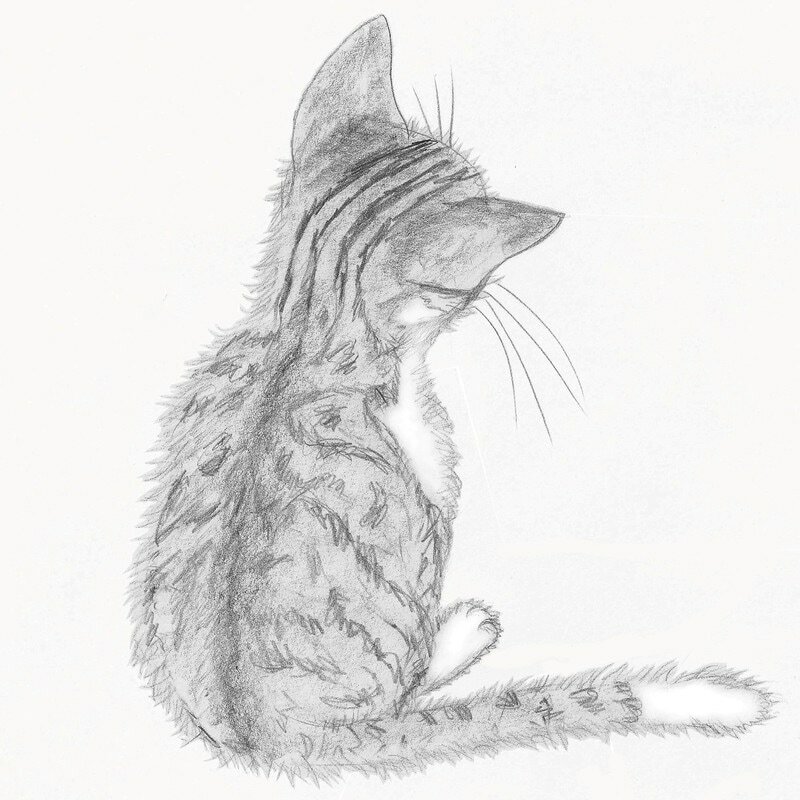 !, a new "chapter book" series! 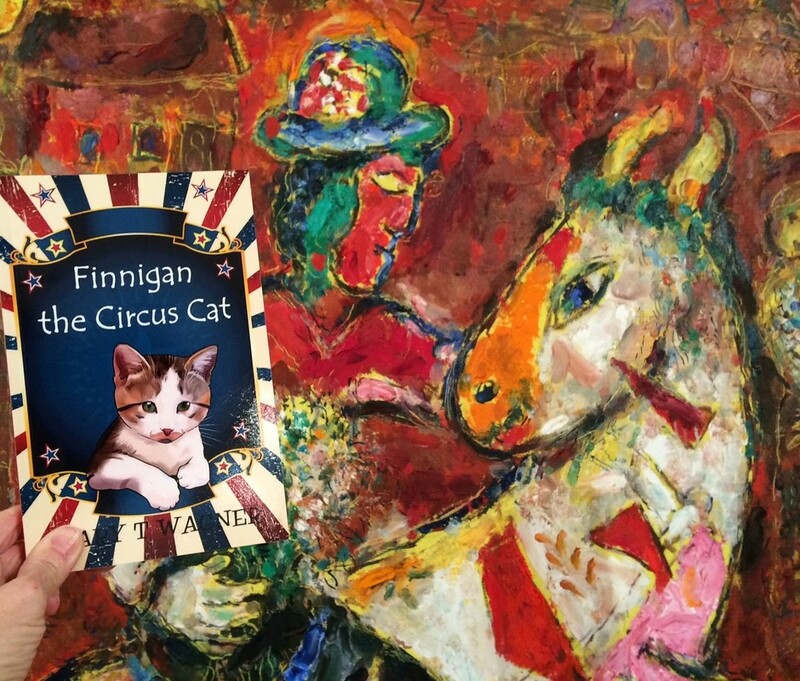 Maximillian and Leroy are two circus mice cousins who think they’ve got it made in the shade at the old, shuttered Farnsworth Circus Museum. There are no dogs around, there’s a safe path to the full pantry in the old house, and the barn is full of dry hay and old circus wagons to hang out in. 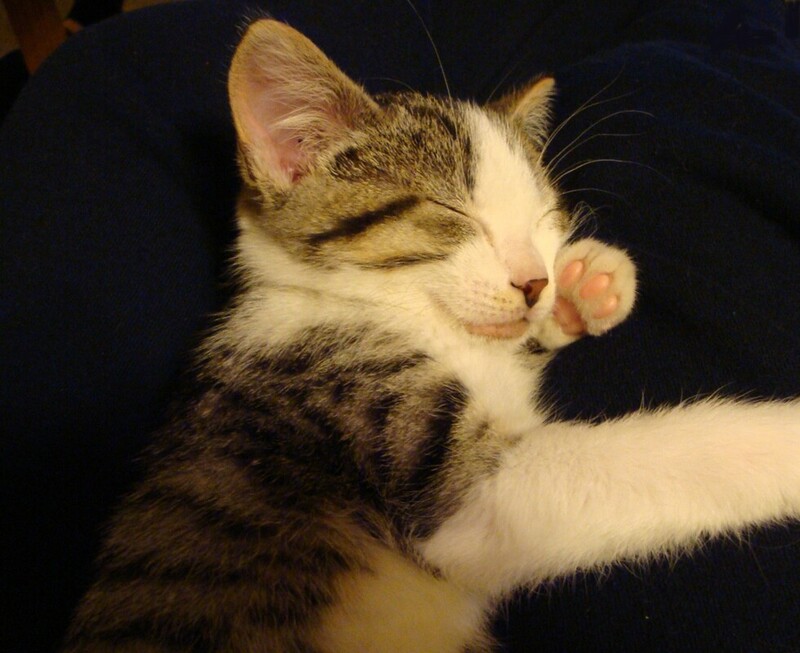 But when a new generation of Farnsworths move in, things start to shake up. And when eight-year-old Lucy Farnsworth brings home a tiny rescue kitten and hides him in the barn because her dad is allergic to cats, Max and Leroy need to think fast if they’re going to be able to stay. 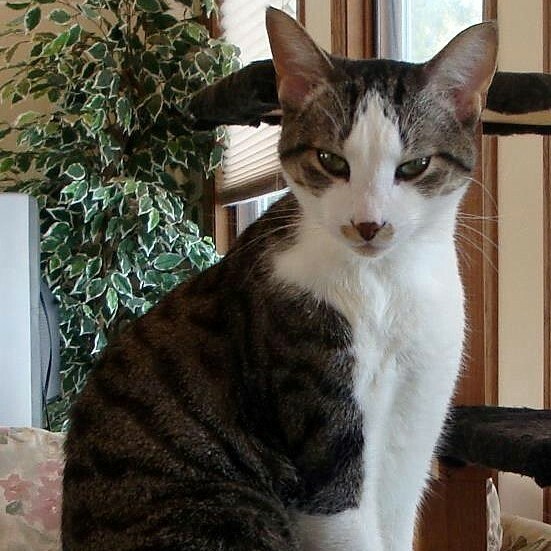 With the help of Boomer—the strangely silent family dog—Max and Leroy take the new kitten under their wing and show him the ins and outs of living at the museum, and flying “under the radar.” Along the way, they all come to realize that the family that you make can be just as important as the one you came from. 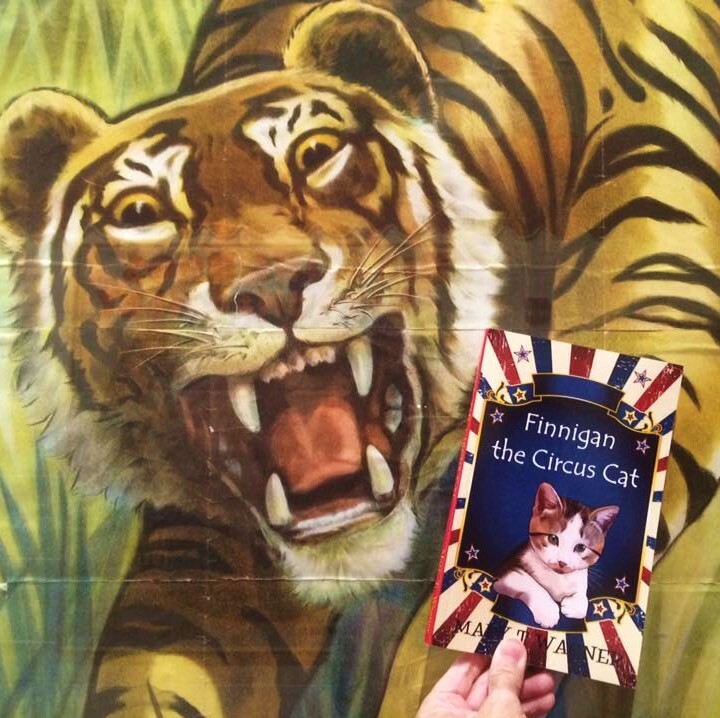 And when Leroy finds himself in deadly peril, it is Finnigan the Circus Cat who saves the day! 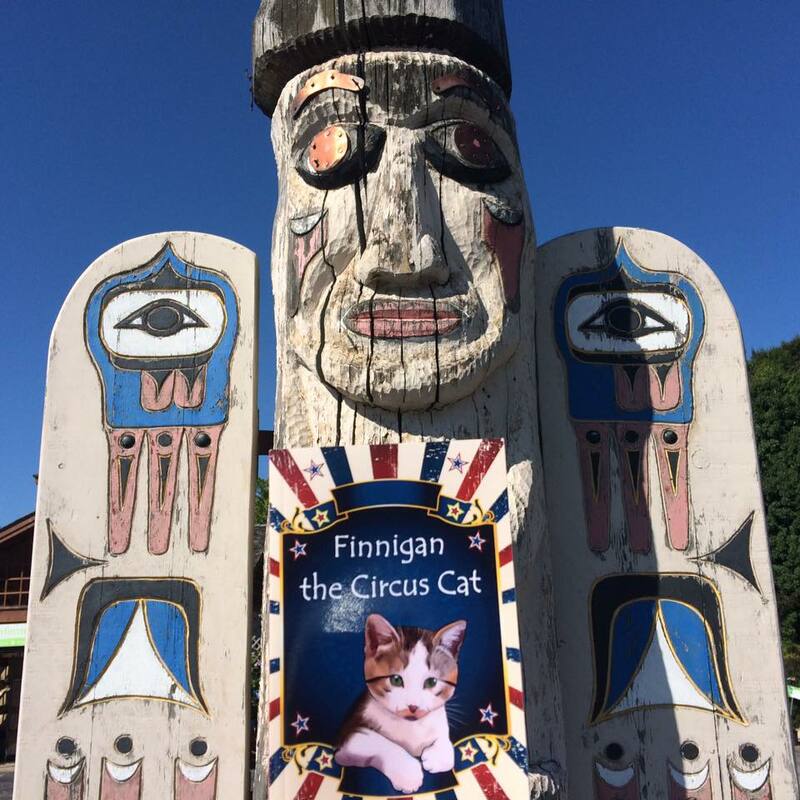 *** FOLLOW FINNIGAN ON INSTAGRAM!! 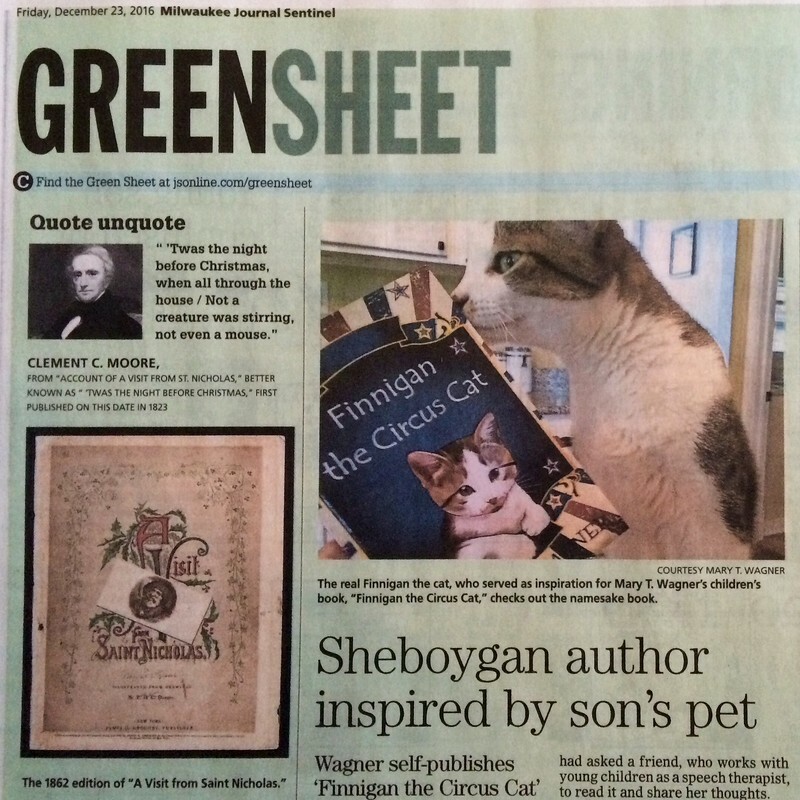 PUBLISHERS WEEKLY "A charming animal story..."
READERS' FAVORITE "5 STARS! A delightful read..."
BOOKWORM FOR KIDS "Sure to become a favorite..."
GOOD BOOKS FOR YOUNG SOULS "Lots of good old-fashioned fun!" 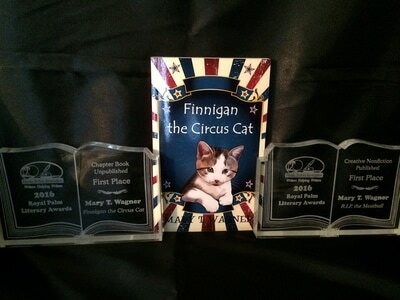 THE SAFFRON TREE "A warm tale about a simple life..."
​WINDY CITY REVIEWS "A perfect chapter book for reading out loud..."
REBECCA OF AMAZON (Vine Voice) "Delightful story about two mice and a kitten..."
​WHITE TOPS MAGAZINE "A heartwarming story of friendship, loyalty and the circus." 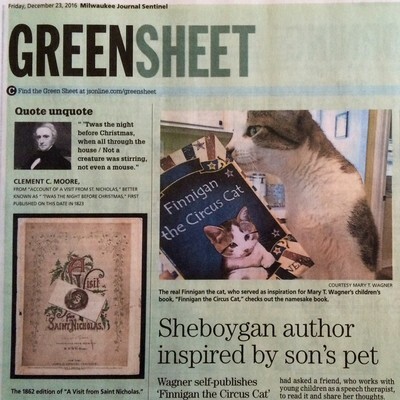 MARCH OF TIME BOOKS 2016 interview, "The Finnigan Effect"
THE SHEBOYGAN PRESS and MILWAUKEE JOURNAL SENTINEL interview, "Author talks about kids books and self-publishing"
MARCH OF TIME BOOKS 2017 guest post, "About Those Circus Wagons!" 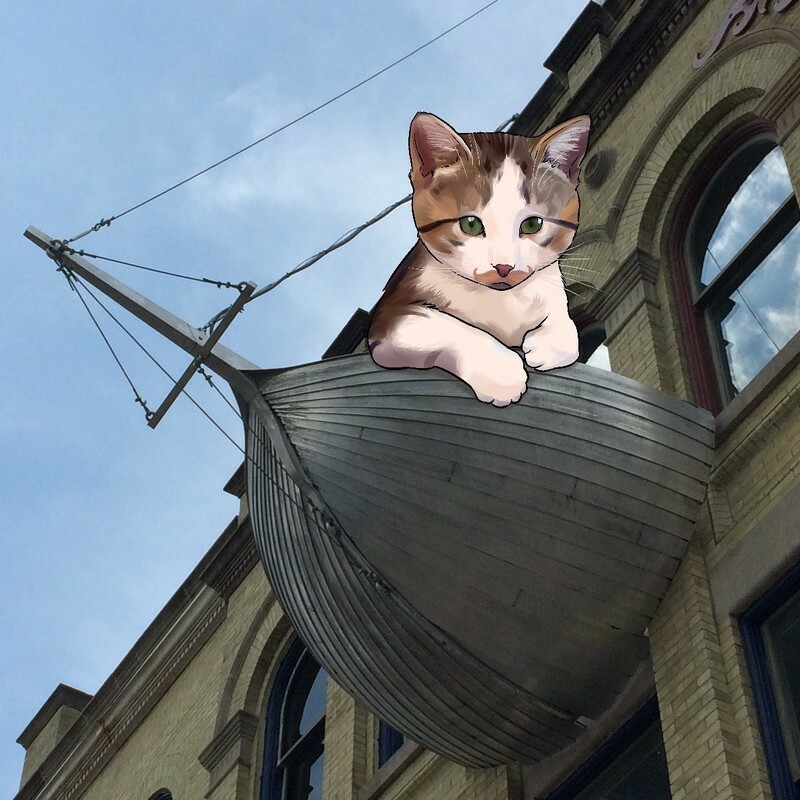 ​GROWING BOLDER "A kitten, a circus, a new chapter!" ​GROWING BOLDER "The Finnigan Story"
BARABOO NEWS REPUBLIC "Children's Book Series Draws Inspiration From Circus World in Baraboo"